This is an attempt to include healthy ingredients in your daily cooking. As I mentioned earlier, my Mum is from the healthcare industry and I have learnt most of the below through her and some through my own research or nutritionist's instructions/advice. Avoid Type 1 and Type 2 Diabetes by including this simple ingredient in your daily diet: Fenugreek leaves (Methi or Uluva leaves). It is also good for lactating mums. If heated in coconut oil, avoids premature greying.Take out the curry leaves from the heated oil, once the leaves turns black and turn off the flame. Store in a glass bottle and apply it on your hair (leave overnight). My grandma used to do this, she had shiny black hair till all so a decade ago and she is now in her late 80s :). It also nourishes the root of the hair. In Indian cooking, curry leaves is used with ginger in so many dishes and this helps to avoid stomach disorders and constipation. You need to consume the leaves though (as most people just set it aside). Besides adding flavour to your dishes, Coriander Leaves too has many an advantage. It may not cost as much however it is precious to your health in so many ways. It helps to control nose bleeds, by applying a paste of the leaves to the forehead. The aroma too helps. It is also rich in Vit. C, Vit A, minerals such as phosphorus and antioxidants. 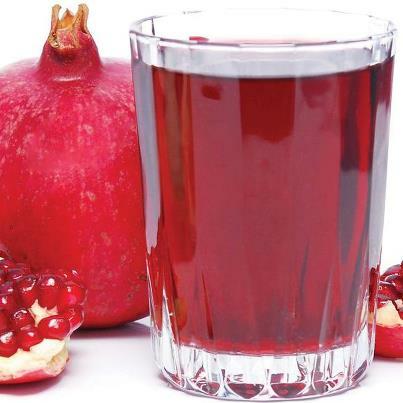 It helps control eye disorders, nausea or morning sickness, mouth ulcers and cholesterol levels. And as most of you know it aids digestion. How many times have you heard this Breakfast is the most important meal of the day? Special omlette from my HD! Carbs- based breakfast: In the morning, simple carbohydrates(sugary refined cereals, white breads, white bread toasts, etc) cause an immediate surge of blood sugar level which results in a substantial emission of insulin. The insulin removes sugar from the blood turning it into excess fat. This results in a decreased level of blood sugar and a thirst for more carbs. This vicious cycle repeats itself 2-3 more times during the day and is one of the major reasons for diabetes, high blood pressure and extra weight. Skipping breakfast: When you skip breakfast, blood sugar drops below the normal level and you experience cravings and a drop in energy levels. You again revert to simple carbohydrates to achieve a quick surge of blood sugar and to overcome hunger and drop of energy. Then the same cycle repeats as explained in Carbs-based breakfast above. Balanced Protein-based breakfast: This is the ideal type of breakfast that supplies our body with all vital nutrients and energy without increasing blood sugar and insulin levels. It helps to avoid dependence on carbs during the day. In this way, appetite stays under control, cravings for junk food such as pastries, soft drinks, chocolates,chips, etc diminish and the body uses its own stored fats to get more energy. Pumpkin flesh and seeds both good for the soul! Pumpkin is a rich source of protein. It also rich in essential fatty acids(protection again heart disease, high BP, arthritis, cancer, promotes healthy skin improves brain power), Vit. A(Both the seeds and flesh of pumpkin are good to improve immune system and improves health of the eyes), Magnesium, Potassium and Zinc, Fiber, etc. There are multitudes of reasons to use Pumpkin. I have named only a few. In case of a BURN, and you do not have your handy Burnol, there are a couple of options. In case of hot water burn, apply some Johnson's baby oil (with Aloe Vera). It has been a life saver on many an occasion. In case of a burn from a utensil, oil splutter or oven, take the white of an egg and smear it on the burn. Sure shot remedy. Otherwise just keep the Burnol in a handy location so you do not have to go searching for it.